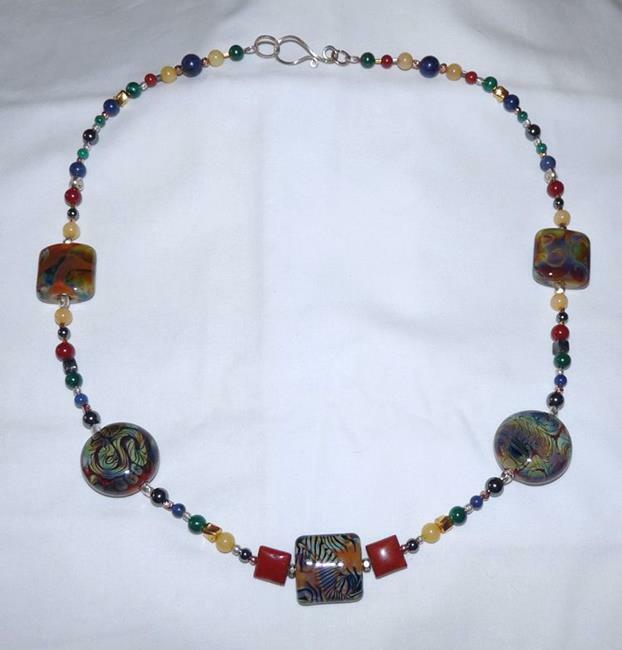 Once again, more stunning lampwork beads from Alexandra Spinglaschell feature in a fun and funky, chunky necklace with - surprise! - SQUARE beads! 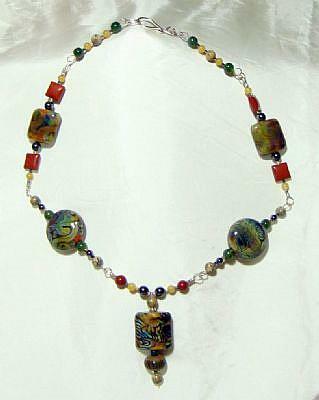 Not just the square lampwork beads, but square red jasper beads to match! 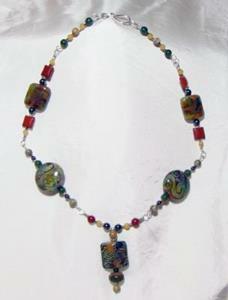 This is one of the most fun projects I've done, I'm thrilled with it and I LOVE working with Alex's beads. I can't stress that enough! All the .999 fine Thai silver beads are Fair Trade Federation certified Karen Hill Tribe beads and all links and clasps are handcrafted by me. I was really pleased with how the colors pulled together in this piece!